Pick up your CSA shares at Colchester Neighborhood Farm and make something delicious with your freshly harvested, organically grown vegetables. Here’s a tasty and healthier alternative to potato chips. This recipe comes from marthastewart.com, so it must be good! Thinly slice an unpeeled kohlrabi bulb. Toss the slices with olive oil and season with salt. Arrange the slices in a single layer on a baking sheet lined with a nonstick mat and bakes at 250 degrees, until crisp and golden brown, 35 minutes to 1 hour. Transfer the chips to a paper towel lined plate and season with salt. Bake at 250 degrees, rotating sheet, until crisp and deep golden, 35 minutes to 1 hour; transfer chips as they’re done to a paper-towel-lined plate. Season with salt. Enjoy! This just might be the best vegetable you are not eating and it may be because you have never heard of it. But as farm stands like Colchester Neighborhood Farm begin filling their CSA shares with organically grown and freshly harvested vegetables and people become motivated to experiment with recipes that include so-called “super foods,” kohlrabi could start getting the props it deserves. Though its popularity numbers are still low, there are some interesting facts and inside information about this lesser known member of the cabbage family that could raise its standing. Some of the things you don’t know…but should know… about this somewhat sweet and crunchy vegetable. According to Jacksonville.com, when it comes to selecting this bulbous vegetable, size matters. Small kohlrabi no larger than 2½ inches is better tasting than its larger counterpart which has a more woody texture and inedible skin. The name Kohlrabi comes from the German words, kohl, which means cabbage and rube, which means turnip. Kohlrabi comes in two varieties: white and purple. Underneath the skin of either variety, the flesh is a very pale green. Kohlrabi has been described as looking like a cross between a space ship and an octopus. Some claim that the vegetable tastes a bit like turnip while others liken it to the taste of broccoli. Though it looks like a root vegetable, kohlrabi actually grows just above the ground, forming a turnip-shaped globe at the base of the stem. Raw kohlrabi is very crunchy with a mild flavor and can add texture to a salad. It can be diced, shredded or cut into matchstick-size pieces. It can also be roasted, baked, or steamed. Chop it up, put it in aluminum foil, shiny side facing in, and place it on the grill for 10 minutes. Kohlrabi is a rich source of vitamins C and B and is high in minerals such as copper, calcium, and potassium. It also contains healthy antioxidants and cancer fighting phytochemicals. The bulb can be stored in the refrigerator for up to 10 days. The leaves and stem, which can be cooked in a stock similar to kale, should be wrapped in paper towel and can be stored for up to 3 days. Stop by Colchester Neighborhood Farm and pick up a few bulbs of this up and coming star vegetable….it just may provide the crunchy flavor your salad needs. Who knew that kale could be used in desserts? Apparently, Dr. Drew Ramsey and Jennifer Iserloh, authors of the cookbook, 50 Shades of Kale. The book is available for sale on Amazon.com. 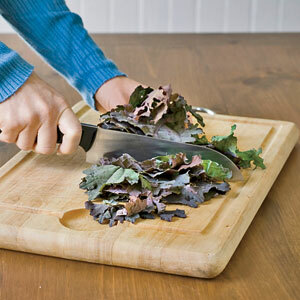 Here is this week’s suggested recipe using our featured vegetable of the week: kale. Preheat the oven to 350 F. If not using silicon mats for baking, spray baking sheets with a little flavorless olive oil. In a food processor, pulse kale 10-20 times until finely chopped. Set aside. In a bowl, combine dry ingredients: flour, oats, baking powder and salt. Set aside. In a large bowl, beat butter and sugar with an electric mixer, on a low speed, until thoroughly combined. Continuing running mixer on low, and add molasses and eggs, one by one, until just incorporated. Add vanilla extract, mix it in. Combine butter-sugar-eggs mixture with your dry ingredients. Add kale and half of all chocolate chips. Mix all together until just incorporated. Bake for 12-15 minutes or until cookies are firm around the edges but still slightly soft in a middle. Cool cookies on a baking rack and enjoy! Buying fresh fruits and vegetables from a local farm stand not only demonstrates healthy eating habits to children, it can teach them the value of supporting local agriculture. If we’re lucky, the trip to the farm can result in a few cherished memories. There is no denying that tomatoes or lettuce picked the same day taste better than the produce purchased from the grocery store. If you’ve ever had the pleasure of harvesting food from a backyard garden rather than a refrigerator, you will agree that the “chore” itself could be as fun as the food was tasty. I remember picking vegetables with my grandfather; he taught me how to choose the ripest and sweetest tomatoes and how to determine when peppers were ready to be picked. Even sweeter than those tomatoes are the memories of the experience that I still carry with me today. By today’s standards, however, we are not always as diligent about taking time to smell the roses…or as the case may be, the basil. In our rush to complete all of our errands, making a special trip to a local farm, exclusively for the purpose of buying cucumbers and tomatoes, can seem like an added chore and one that could easily be eliminated, if we just purchased our produce at the local grocery store, along with all of the other items on our list. But sometimes, these everyday chores are the same ones that create an experience and in the process, a lasting memory, for children and parents, alike. If we eliminate these so-called chores, we may be denying ourselves and our children the pleasure of true, quality time spent together. When you buy your fruits and vegetables from Colchester Neighborhood Farm, consider blocking out an extra 15 minutes or 30 minutes for the “chore” because it could easily turn into a fun and wonderful experience. Colchester Neighborhood Farm is a social enterprise in every sense of the word. Employing adults with developmental and intellectual disabilities who are more than happy to wait on their customers at the farm stand, they are also eager to show off their farm, which includes chickens, a friendly donkey named Dapple, and some goats and their babies…yes the kids love the kids! A visit to Colchester Neighborhood Farm is more than just buying fresh fruits and vegetables, it is an opportunity for our children to learn about agriculture, to see how their food is grown and where it comes from. And going home with a few good memories along with some fresh tomatoes, organically grown cucumbers, and a bouquet of fresh flowers isn’t bad either. Kale is one of those vegetables people plant with the best intentions, but too many times it sits in the garden until it’s covered with snow. You know it’s good for you and is one of the best “superfoods” you can add to your plate, but kale has other far-reaching benefits if eaten in place of a primarily meat-centered dinner. Adding kale to your plate might be the easiest way to save the world. Found out all four reasons by clicking HERE.